August 1st, 2008 Redding, Ca- The United Bands, one of the several not-for profit organizations in the Shasta County area claiming to represent the Wintu Tribal Membership, has held its first annual election, by popular vote, in accordance with the groups drafted constitution. Formulated in 1984 as the Wintu of Shasta, Gloria Gomez (Wintu) has headed this not-for profit group since its inception. It is the modern emanation of one of the original four Wintu Tribal Petitioners that applied to the Bureau of Indian Affairs to navigate the federal governments BAR (now referred to as OFA) process by which tribes may petition the Department of the Interior for federal acknowledgement. The Wintu as a whole, occupy one of the most ambiguous tribal histories of any of the California Tribes that suffered genocide and annihilation thru forced removals and relocation's to area reservations, and not-ratification of the 1851 Ash Creek Treaty that subsequently left our people without a federalized land base and the protections of Indian populations and cultures that were afforded other area tribes thru the historical era like Hoopa Valley and Round Valley. Following non-ratification of the Ash Creek Treaty in 1852 it was approximately 30 years before Congress acted to allocate any land to individual Indians, let alone the forgotten Indians of California. In the 1880's the Dawes Act Provided for individual families to receive tracts of land in common with European Immigrats that had been "settling" our Wintu lands thru the Homestead Act for the same 30 year period. The same period that saw our people removed and driven from the land scape or out right killed by the same euro-americans that still control our freedom, and our land. The reasons given for the lack of recognition for the entire Wintu people thru the recent historical era include lack of federal oversite, limited displacement of federal officials resposible for our welfare, and a willingess by local and regional elected representatives to allow our tribe to remain landless, and therebye without a community since the Gold Rush era. Failed federal policies to assist California Indians in the past have failed entirely to bring assistance, or economic development to our sizeable Wintu Community here in Shasta County. Leaving us landless Indians, in our own land. 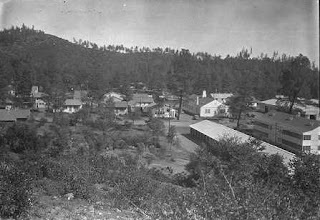 It was in 1971 that motivated Wintu Indians occupied the federal facilities at Government Camp, later named "Toyon", under federal laws passed in the 1970's that allowed for the Native American use of un-used federal facilities, like the homes and hall at Toyon. Toyon (the land) was never deeded to the Wintu Tribe, and since its closure in 1987, the tribe has only enjoyed "day use" of the area by BIA mandate. Landless still. In the intereveneing time period (1971-1987), congress and Interior moved to finally address the welfare of California Indians specifically as a result of federal congressional inquests on California Reservations and Rancheria specifically had revealed a severe lack and inequal displacement of federal assistance on California Trust lands was severly in-adequate and that the California Indians on them were living in "squalid" conditions (U.S. Senate Hearing 1974). These congressional testimonies in the 1970's are what lead to the BIA establishing the BAR process of federal acknowlegement in 1978. A process by which tribes that have historically been terminated (the Wintu were never terminated in the 1940-50's) or Tribes that had their reservations allotted (resulting in huge land losses on many reservations in the western united states not simply California) and stripped of Native Citizenship under the Wheeler-Howard Acts policies of assimilation, to re-gain recogntion and realize the federal policies of "Self-determination" and "Self-regulation" that were so popular in the 1970's under the Nixon Administration. 30 plus years later our people have yet to realize any sense of community, or actual self-determinitive or self-regulatory freedom, or assistance from the Interior or BIA. In fact the Interior officials have gone deep into waters where we are hampered in our efforts to realize freedoms guarenteed by federal law over 30 years ago. And deny our future identity as Wintu Indians. The same four Original Wintu Petitioners still remain on the Interior Secretaries List of Non-Recognised Tribes attempting to navigate the labrynth of federal recognition. Let us hope that Gloria Gomez and the new United Bands council will work towards the good of all the Wintu people and not just select factions. Stop Wintu Fraud wishes the New United Bands Council luck in the coming year as they attempt to continue to formulate a tribal membership of Wintu Descendants, and petition the government for acknowlegement.